Mental health is ever increasingly a serious factor which occurs in our day to day lives. Though going to the gym often is about how you want to look. 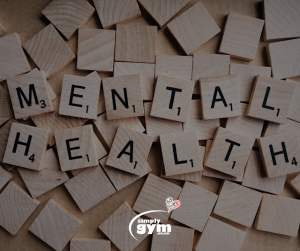 We want to highlight the importance of the gym that can help to improve your mental well-being. This is the most important factor of all! By exercising, you can help with changes in your brain, including growth (Help Guide, 2019). Furthermore, it reduces tension and stress, whilst at the same time boosting mental energy through endorphins (Help Guide, 2019). Exercise allows you to sleep better. It enables socialisation, especially if partaking in a class. You can start with moving with simply taking a 10 minute walk to begin with. It is important to start slowly and build yourself. Make sure to build your goals up slowly and substantially. By doing it this way. You will be able to see results and therefore by more motivated to reach the next step of goal (Help Guide, 2019). 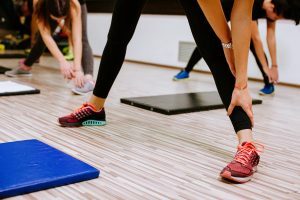 It is also important to be comfortable when working exercising and the ensure the setting will not make you feel more anxious (Help Guide, 2019). With exercising when dealing with mental health. Also make sure to reward yourself. This means that you are able to obtain positive outcomes (Help Guide, 2019). Make sure to head to a local Simply Gym if you want to kick start your fitness journey!